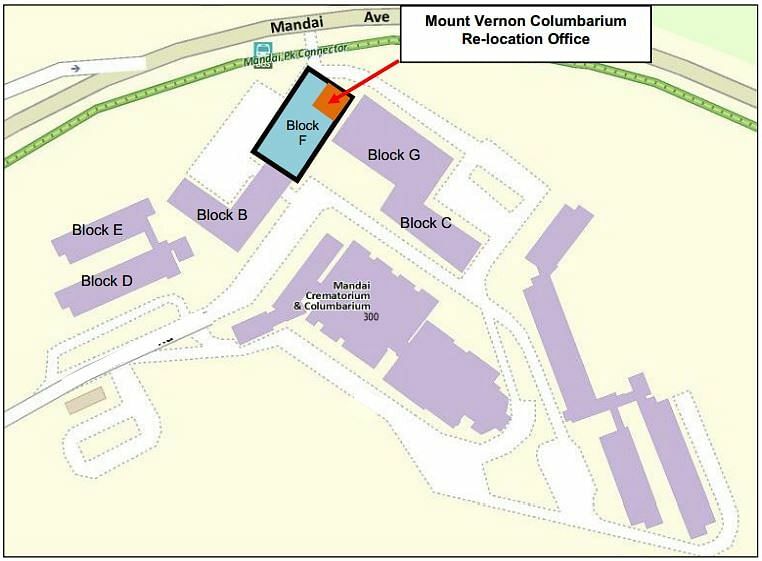 SINGAPORE - The claim and registration process for the relocation of 20,000 niches at the Mount Vernon Columbarium starts on Wednesday (Oct 28), the National Environment Agency (NEA) has announced. Next-of-kin will have until June 30, 2017, to claim the niches, which will be moved to Mandai Columbarium. It was first announced in 2013 that the Mount Vernon Columbarium would be cleared to make way for the upcoming Bidadari housing estate. Claimed niches will be automatically moved to Mandai, unless claimants decide to move them to Chua Chu Kang Columbarium or other private places of their choice. Claimants also have the option to claim the ashes and scatter them at sea. The NEA has urged those who wish to claim the niches to submit the requisite registration form and supporting documents by the stipulated date. "Claimants who wish to apply for niche relocation to government after-death facilities will be invited to make a booking for the replacement niches after they have submitted their claims to NEA," it added. Niches not claimed by June 30, 2017, will be removed from Mount Vernon Columbarium. The ashes will be scattered at sea by the NEA if they remain unclaimed for three years after the removal. For more information, go to NEA's website here or call the Mount Vernon Columbarium Relocation Office on 6554-5657 during office hours.